A phone linked to a man accused of terrorism contained a text message revealing that a person was searching for a police cosh for something they were “planning”, a court heard yesterday. Brian Moggach, 56, told a jury how he was asked by police to analyse two phones that were taken from Connor Ward’s house in Banff, Aberdeenshire, in November 2014. 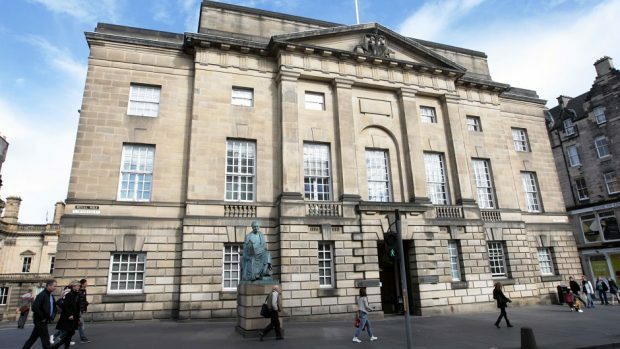 The 25-year-old man is standing trial at the High Court in Edinburgh accused of collecting information of a kind likely to be useful to someone preparing an act of terrorism. Jurors heard the information technology expert say he found a series of text message exchanges on one of the handsets. The court heard how in one exchange, the sender of the message asked the recipient where they could obtain the kind of leather cosh that “police used” before the introduction of truncheons. Mr Moggach said the recipient then sent a reply recommending a potential stockist. They also said that they thought such an implement would cost somewhere in the region of £22. The jury was then shown the response to that message that the original sender of the message sent back. Mr Moggach told Mr Goddard that he also found a text message on a handset in which the sender of the message inquires about whether the person receiving the message knew how to obtain a type of firearm. The message was sent in July 2014. It was shown to the jury and it read: “Hi mate. Do you by any chance have a stun gun or are able to get hold of one? Ward denies breaching the Terrorism Act 2000 and the Terrorism Act 2006 between Febraury 2011 and November 2014.